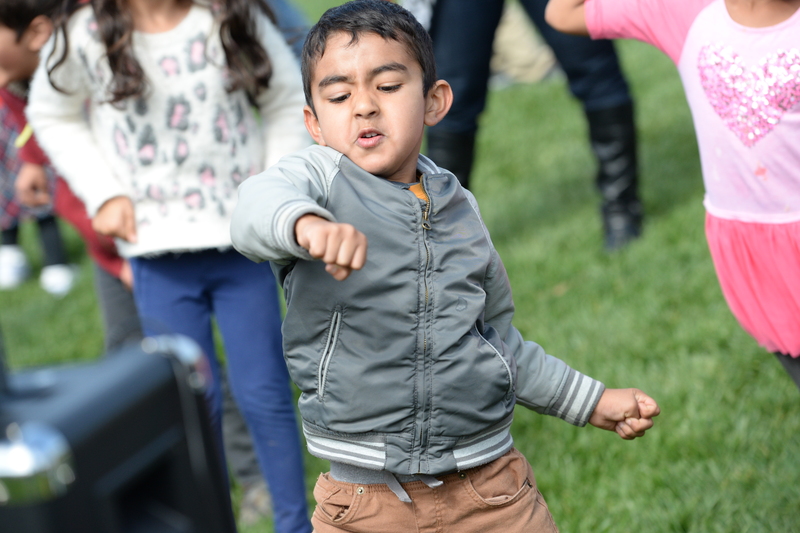 Preschool students had a special treat in store for them on March 18 as they, along with teachers and staff, headed to the campus lawn to participate in Dance Anywhere day, a simultaneous international celebration of dancing. Participants came together around lunchtime to dance 10 minutes away. Dance Anywhere was started in 2005 by Bay Area dancer Beth Fein. True to its name, the annual celebration encourages anyone and everyone – be they amateur or professional – to dance in virtually any place, public or private.